(Washington, D.C., January 16, 2014) — A report issued today by human rights activists urges the Vietnamese government to stop the systematic torture by law enforcement officials of people who have been arrested for peacefully exercising their rights to freedom of expression, association, assembly, and religious belief, or for seeking protection and political asylum abroad. Police in Vietnam routinely hold political and religious detainees incommunicado for months, torturing and abusing them during interrogation, and prohibiting them from communicating with their families or lawyers, according to a report issued today by the Campaign to Abolish Torture in Vietnam (CAT-VN). The 139-page report, entitled “Vietnam: Torture and Abuse of Political and Religious Prisoners,” provides a rare, in-depth account of abuses in Vietnam’s notoriously inaccessible prisons and detention centers, laying bare the harsh methods used by various levels of the Vietnamese government to silence and punish its critics and remove them from the public eye. Vietnam’s human rights practices will come under review by the UN Human Rights Council in Geneva on February 5, 2014 under the UN’s Universal Periodic Review (UPR), a procedure every member state must go through every five years. The prohibition of torture is enshrined in the International Covenant on Civil and Political Rights (ICCPR), to which Vietnam has been a member state since 1982. Nevertheless, the report indicates that detainees in Vietnam—common criminal suspects as well as political and religious detainees—are regularly subjected to torture and other forms of cruel, inhuman, or degrading treatment. In a disturbing number of cases the torture and abuse is so severe that victims die in detention or shortly after their early release from custody. The report is based on first-hand testimony from 60 former religious and political prisoners and detainees from Vietnam, the majority of whom had been released from custody within five years of their interview with CAT-VN. 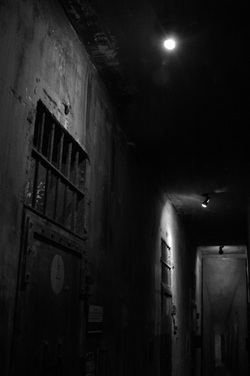 The former prisoners and detainees provided detailed descriptions about their treatment in 43 different prisons, jails, police lockups, border police stations, detention centers, and re-education camps; two military detention centers; and one psychiatric hospital. These facilities are located in 20 different provinces and municipalities throughout Vietnam. The report found that all of the former detainees and prisoners interviewed by CAT-VN had been subjected to torture—the deliberate infliction of severe mental and physical pain and suffering—during interrogation by police or prison officials. For the vast majority, the torture and abuse took place while the detainee was being detained incommunicado during pre-trial detention, and before he or she had access to legal representation, was brought before a judge, or was charged with any crime. After detainees are sentenced to prison under Vietnamese national security laws that criminalize the expression of internationally recognized rights, the abuses continue, including torture, egregiously harsh conditions of detention, and forced labor. The report estimates that more than 600 people are currently imprisoned in Vietnam for peaceful expression of their political and religious views. These prisoners, most of whom have been subjected to torture, include dissenting intellectuals, human rights defenders, members of unsanctioned religious groups and opposition political parties, land rights advocates, labor union organizers, indigenous rights activists, independent bloggers and journalists, and religious freedom activists. In November 2013, Vietnam was elected a member of the UN Human Rights Council and signed the UN Convention against Torture, which formalizes and makes explicit the absolute prohibition against torture in international law. These developments present opportunities for Vietnam to vastly improve its record on human rights—particularly the right to be free from torture. The report also documents the torture and mistreatment of dissidents who have been arbitrarily detained without trial in mental institutions and re-education camps under Vietnam’s “administrative detention” laws, and of refugees and asylum seekers, particularly those forcibly returned to Vietnam after unsuccessfully seeking asylum abroad. The report offers specific recommendations to the Vietnamese government and international stakeholders on practical approaches to systematically abolish torture in Vietnam. For detailed accounts of torture by several of the people interviewed for the report, please see Annex A. · In Washington, D.C.: Dr. Nguyen Dinh Thang (English and Vietnamese), +1 703-538-2190. · In Frankfort, Germany: Vu Quoc Dung (English, German, and Vietnamese ), +49 6171 59828. · In Ontario, Canada: Thach Ngoc Thach (English, French, Cambodian, Vietnamese), +(856) 655-2117 (cell), +(519) 659-3920 (home). · In Virginia: Sara Colm (English and Cambodian) : +1 301-980-8835 (cell).